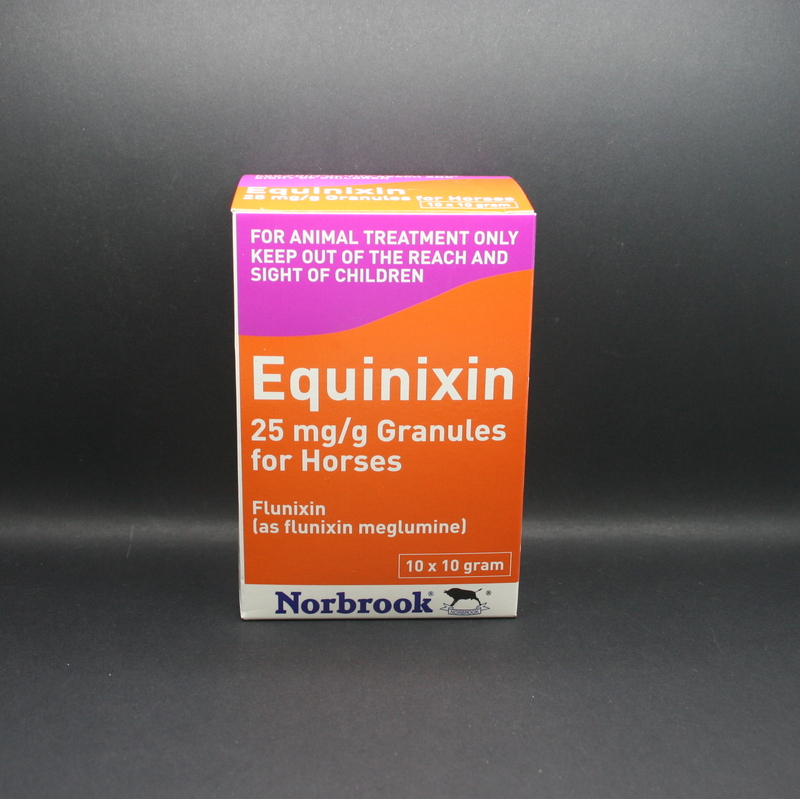 Equinixin Granules contain Flunixin, a powerful Non Steroidal Anti Inflammatory Drug (NSAID). 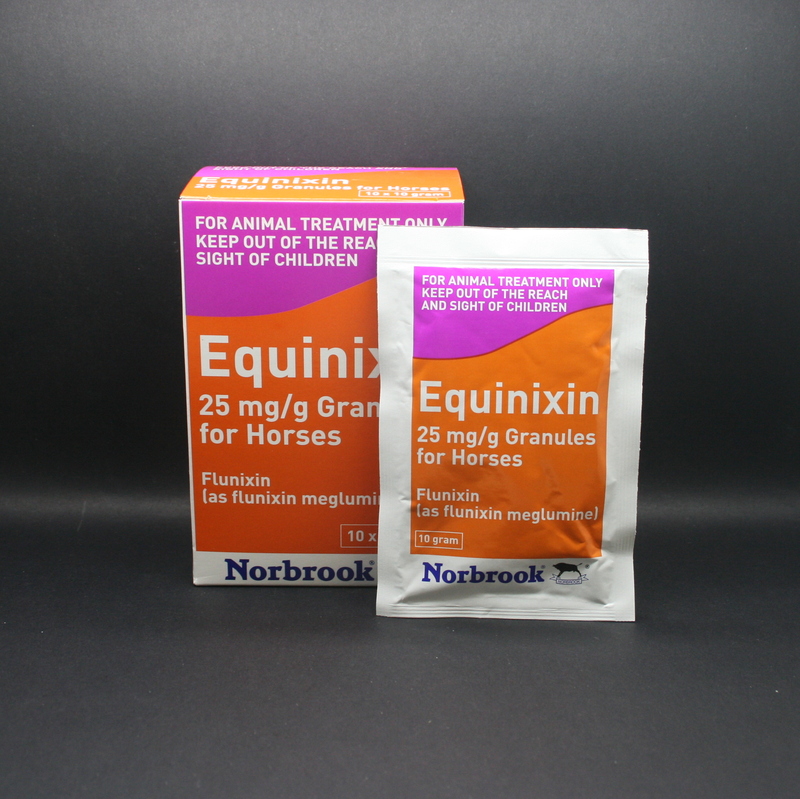 It is formulated to treat musculoskeletal conditions in horses, e.g. laminitis and osteoarthritis. It is easy to administer as it given by mixing into a small feed. This product has been discontinued. 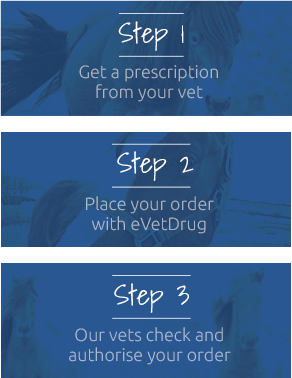 Call our vets on 01344 283888 to discuss alternatives. Flunixin is an anti-inflammatory, analgesic (pain relief), antipyretic (lowers fevers), as well as being anti-endotoxic (reduces toxins). It works by inhibiting the body from synthesising prostaglandins, which facilitate pain & trigger inflammatory processes & pyrogens (substances which cause a fever). Two sachets provides one day's treatment for an average 454kg horse. Each 10g sachet contains 250mg flunixin meglumine. Available in packs of 10 sachets. 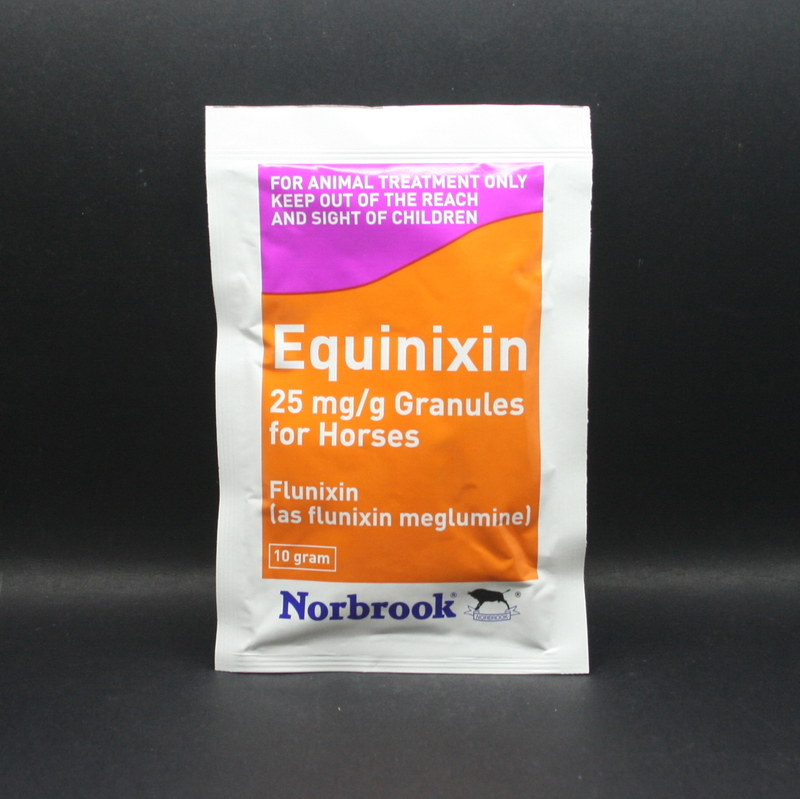 Warnings & Contraindications- Do not give to horses that are hypersensitive to Flunixin or have liver, heart or kidney disease or gastric ulceration. Wear gloves when administering & avoid direct contact with skin & eyes. Do not give within 24 hours of giving another NSAID or corticosteroid, please contact your vet or our helpline if unsure. Pregnancy & Lactation- Do not use in mares that are pregnant or lactating.